The perfect launchpad for exploring the Southern Great Barrier Reef and the Discovery Coast. Sparkling blue waters reach out from the industrial centre towards nearby Heron Island and Lady Musgrave Island - there’s something very special waiting for you in this part of Queensland. Whether you’re staying in Gladstone or passing through on your way to Heron or Lady Musgrave islands, there’s plenty of accommodation options available to suit a range of budgets. Business and leisure travellers can choose from a range of modern hotels or apartments within the town centre, close to dining options and Gladstone Entertainment Centre. From beach shacks and camping grounds to luxury beach homes to rent, you’ll find the ideal place to stay that easily accessible to the buzzing shipping port and busy industry surrounds. The city has grown to be a convenient and well-equipped base to begin an island, beach or land adventure. One of the best ways to enjoy the Gladstone region is on the water, but there are more than tropical islands and colourful reefs to see on your trip. With a great calendar of events to catch including the QantasLink Brisbane to Gladstone Yacht Race at the Gladstone Harbour Festival to the Agnes Blues, Roots and Rock Festival or watch the parade at Captain Cook 1770 Festival. If you’re visiting with kids, a trip to East Shores Water Park is a must. Take a walk to Auckland Point Lookout to see out over the harbour or hike up Mount Larcom and be rewarded with 360º views of the entire region. For dinner with a view, try the Gladstone Yacht Club and treat yourself to the Skipper’s Feast - a mouth-watering tower of fresh seafood that’s perfect to share. Hamilton Island in Queensland is a gateway to the Great Barrier Reef. These are the best things to do, places to stay and restaurants and bars to visit. Which Australian Island is For You? From Hamilton and Hayman in the Great Barrier Reef to the rugged beauty of Tasmania and Kangaroo Island, find the perfect Australian island holiday for you. On Australia’s Great Barrier Reef you can explore the coral by submarine, picnic on a private island, swim with whales and so much more. Famous throughout the globe and for the wreck, Heron Island is a World Heritage-listed marine park located 80 kilometres off the coast of Gladstone. Reachable by ferry, helicopter or seaplane - this paradise destination offers guided island and reef walks, research station tours, semi-submersible cruises, snorkelling and some of the best diving sites in the world. 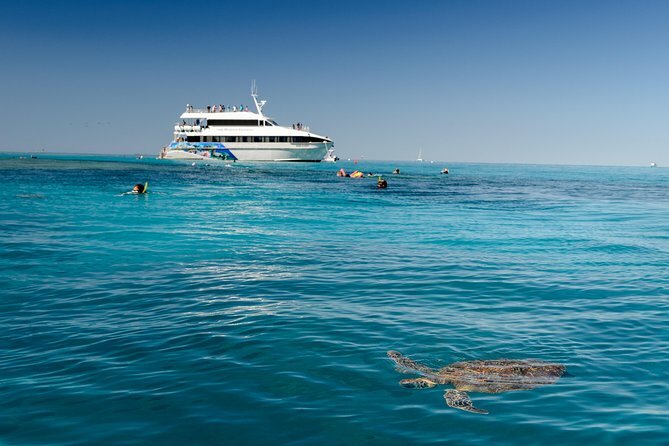 Swim with turtles and sleep under the stars at the uninhabited Lady Musgrave Island. This is one tropical experience you won’t want to miss. The island cay of Lady Musgrave Island is set on 3,000 acres of living reef with a protected lagoon - making it the perfect spot for snorkelling. It can be reached by boat and is perfect for a day trip from Seventeen Seventy or a diving tour to the spectacular Manta Ray Bommie dive site. From the airport: Gladstone Airport is located seven kilometres from the CBD, approximately ten minutes’ drive by car. Taxis and hire cars are available at the terminal and the public Buslink 502 service departs outside the departures area. In and around the city: Blue and White Taxis and Buslink public buses operate in and around Gladstone. 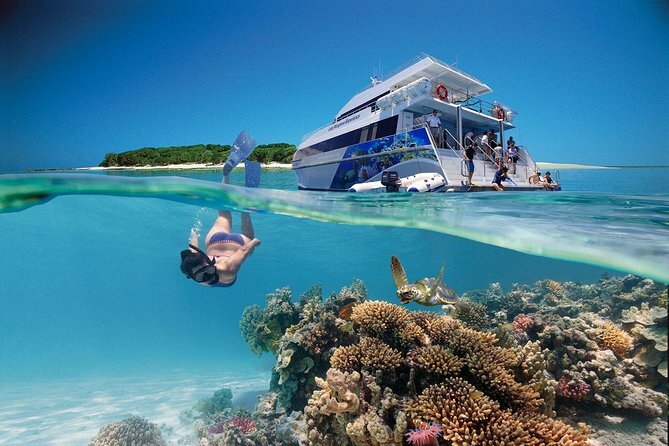 The Southern Great Barrier Reef can be reached by charter boat, or by booking a tour or scenic flight. The best way to explore the Discovery Coast is by hire car, but coach and train services also connect Gladstone to Agnes Water and Seventeen Seventy.